1. IDENTITY: Moving from identity in Christ to identity in Ministry. In pastoral ministry, it is very tempting to look hirzontally for what you have already been given in Christ. . . . Rather than the hope and courage that come from resting in my identity in Christ, my ministry becomes captured and shaped by the treasure of a series of temporary horizontal affirmations of my value and worth. This robs me of ministry boldness and makes me all too focused on how those in the circle of my ministry are responding to me. 2. MATURITY: Defining spiritual well-being not by the mirror of the Word, but by ministry. Biblical literacy is not to be confused with Christian maturity. Homiletic accuracy is not the same as godliness. 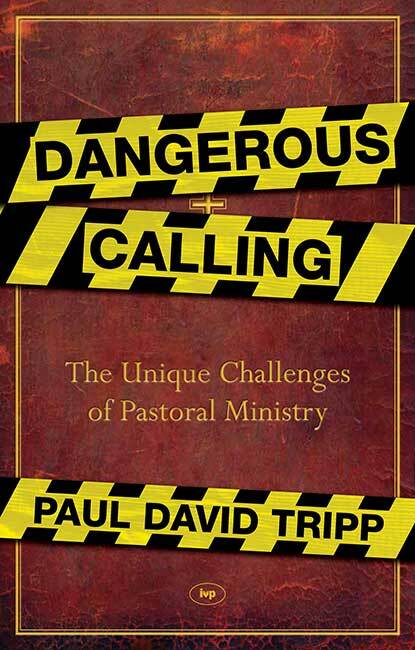 Theological dexterity is very different from practical holiness. Successful leadership is not the same as a heart for Christ. Growth in influence must not be confused with growth in grace. It is tempting to allow a shift to take place in the way that I evaluate my maturity as a pastor. Rather than living with a deep neediness for the continued operation of grace in my own heart, I begin, because of experience and success in ministry, to view myself as being more mature than I actually am. Because of these feelings of arrival, I don’t sit under my own preaching; I don’t preach out of a winsome, tender, and humble heart; and I don’t seek out the ministry of the body of Christ. This allows my preparation to be less devotional and my view of others to be more judgmental. 3. REPUTATION: Shifting from a ministry shaped by zeal for the reputation of Christ to a ministry shaped by hunger for the praise of people.
. . . My heart begins to be captured by the desire to be esteemed by others, the buzz of being needed, the allure of standing out in the crowd, the glory of being in charge, and the power of being right. This makes it hard to admit I am wrong, to submit to the counsel of others, to surrender control, to not have to win the day and prove I am right. It makes it hard to accept blame or to share credit, and it makes me less than excited about ministry as a body-of-Christ collaborative process. I will finish the list tomorrow.